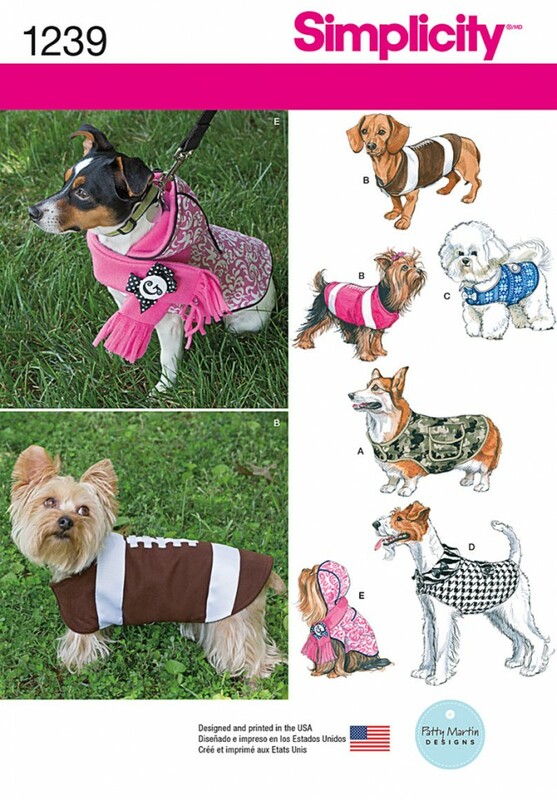 Have fun dressing your dog in these adorable clothes for small, medium and large size dogs. Hat and scarf included for small dog. All feature hook and loop tape closures for easy dressing. Patty Martin Designs.